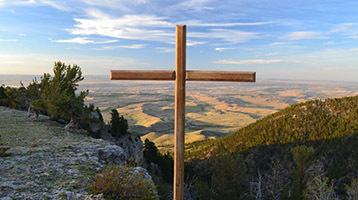 Plans for summer camp at Mills Spring Ranch are well underway » Mark your calendars for July 21–28, which are the dates for summer camp at Mills Spring Ranch, on Casper Mountain, in Wyoming. The camp will be for young people, ages 9–14. Registration will open April 15. Read more to learn about some of the great plans being made. 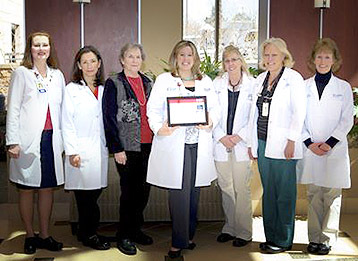 Colorado Adventist hospitals are recognized again for their outstanding care » Recently, Porter Adventist Hospital was awarded Gold Plus recognition from the American Heart Association for its heart failure treatment guidelines. Read more about this important award, and find out which other Adventist hospitals made the grade as well. 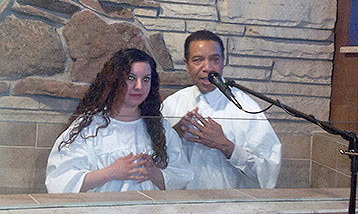 Centro Cristiano Church welcomes six new members » Milton Quezada, lay pastor for the Centro Cristiano Church, baptized six people on Sabbath, March 16, at the Arvada Church. We warmly welcome these individuals to the family of God. The Centro Cristiano Church congregation worships each Sabbath in the Arvada Church gym, and has been blessed with many new members. On the road » This weekend, I will be in St. Louis for the joint Lake Union and Mid-America Union ASI chapters' Spring Fellowship. The theme for the convocation is "Practical Evangelism: Walk Worthy." U.S. Senate Chaplain Barry Black and Mark Finley, assistant to the president of the General Conference, are the guest speakers for this Spirit-filled weekend. In addition to wonderful preaching, reports will be shared to show how lay people are working with the Church to serve and spread the news of the soon coming of Christ. It was great to hear that everyone returned home safely from each of our four mission trips, which took place during spring break. Thank you all for your prayers for each of the groups as they reached out to various parts of the world for Christ. During the next several weeks, we will report about how wonderfully the Lord worked through each of these mission teams. I hope this Sabbath will bring each of you much joy as we worship and serve our King! Members can follow the link to sign up for weekly news and keep up-to-date on what's happening around the Rocky Mountain Conference.